Welcome all the participants of the competition! All e-mails will be answered within two days. In case of no reply please resend your e-mail entry. Please specify the following data with each entry: club, name, category, date of birth, SI number. Open categories: every race HUF 1500 at any time. 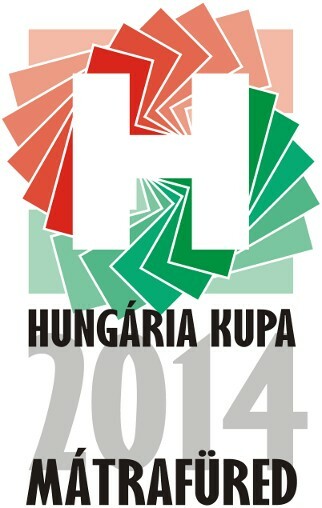 Changes of categories and/or names (in all categories) after 25.05.2014 for HUF 500/day. In case of changes into higher categories differences of entry fees also have to be paid. Entries for all three days include a free of charge 3-day spa ticket to St. Elizabeth Spa, from Saturday afternoon till Monday evening. Maccabi cup: 3-day, 3-stage, individual national ranking race, the first day is WRE. South-Plain Regional Night Championship: 1-stage, night, individual national ranking urban middle distance competiton. Maccabi relay: 2 * 2 runners, national ranking relay. Map: Corrected between February 2011 and May 2014 , 1:10 000 scale, 2 m contour distance, partly never before used for orienteering. Terrain: Typical lowland-wood with sandy ground, changing runnability and rich relief. Categories (middle, long): M/W10D, 12C, 14B, 14C, 15–18C, 16B, 18B, 20A, 21E, 21B, 21Br (short), 21C, 35A, 35Br (short), 40A, 45A, 45Br, 50, 55, 60, 65, 70, M75, 80, Open beginner, Open advanced short, Open advanced long and Children’s race. Results: Overall results for the 3-day event,WRE, Night-O and Relay will be awarded separately. to all categories’ top 3 of 3-days race. The winners of relay and night races will receive medals. IOF identifiers of WRE runners needed, too. Changes of categories and/or names (in all categories) after 25.05.2014 for HUF 500/day. In case of changes into higher categories differences of entry fees also have to be paid. Cash at the event center or bank remittance according to the entried runners. Bank name & address: UniCredit Bank Hungary Zrt, 1054 Budapest, Szabadság tér 5-6. In case of bank transfer please send an e-mail with details (names, club, sum). Transportation: public transport is available, but if required, transportation can be organised if your request is received until 25 May. Parking: HUF 500/3 days, HUF 200/day. Others: SI punching system will be used. 1 Nov. 2013– 9 Juny 2014 except of Maccabi Cup. Traning: For the afternoon of 6th Juny 2014 training maps will be provided upon request for an area not used during the competition. Please indicate your request in advance. Planned WRE winner times: 30–35 minutes. Weather (generally in this period of time): dry, warm, sunny, 25-30 °C. In the Finish area cold and hot meals will be served all three days. All competitors start at their own risk. We hope to see you at Maccabi Cup 2014!